Sign up to be a Dog Walking volunteer, by registering your details and booking on to one of our induction sessions. The inductions take place on Fridays at 1.15pm and you will need to bring ID and confirmation of your current address with you. The induction takes about 1 hour including your first dog walk! 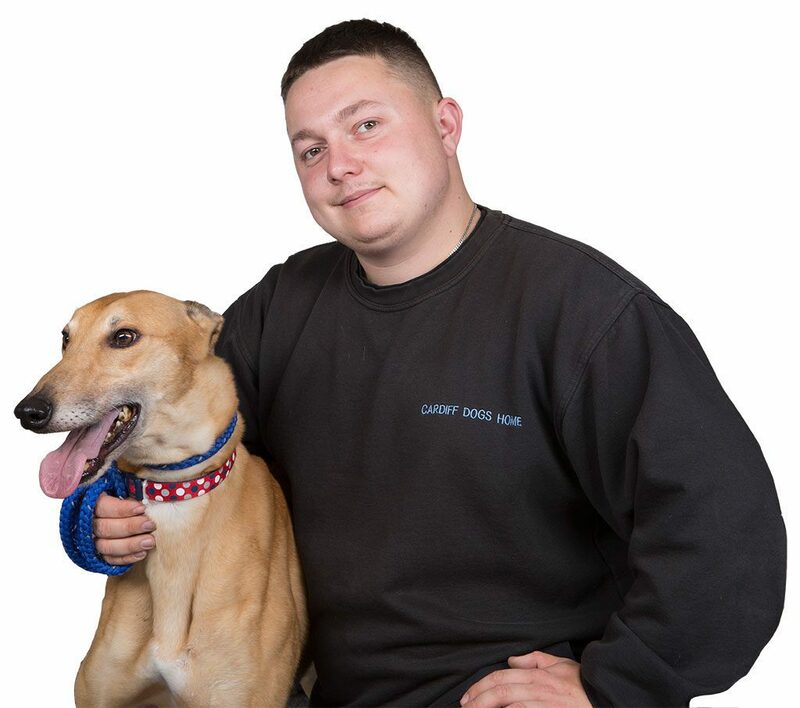 Apply to work in the kennels and help with cleaning, feeding, exercising, environmental enrichment and bathing dogs. Please complete the application form below and send it to us. You will receive an invitation to attend for a taster/induction session and on completion of this you will be asked to commit to a particular day/time. This enables us to allow as many people as possible to get involved and to ensure that there are safe numbers at the Dogs Home at all times. Volunteer to play with the dogs off of their lead? We have a fantastic garden for our dogs, giving them their time to run around, play fetch, play in the pool and have the exercise and interaction that they love and need. Volunteer to supervise and collect donations made to Cardiff Dogs Home that are stationed at your local supermarkets and shops. You would need to monitor our donation box and once full, it will need to be emptied and brought down to the dogs home for the donations made to us flowing nicely. able to commit to a specific day/days a week. willing to get involved in the cleaning and organising of the kennels, feeding, exercising and bathing dogs. OR willing to walk dogs at a time that suits you between 8am and 4pm 7 days a week and until 6pm on Thursdays. Please note due to high volume of volunteer applications we are unable to accept any more requests until the New Year with the exception of volunteers for Garden Play and Event Fundraising Volunteers who can still apply. What experience do you have that is relevant to volunteering at the Dogs Home? What day/days and times are you available to volunteer at the Dogs Home? How did you hear about Cardiff Dog’s Home? If possible one of these should be and employer – current or previous, the other, or both, should be someone who knows you well but not a member of your family or someone with whom you have a close personal relationship. In what capacity do you know him/her?